ENERGO-PRO Energy Services has added to its partners portfolio, which is consuming 100% green energy I&B Real Estate S.A., owned by ICON Ltd. – which is 100% subsidiary of GEK TERNA Group of Companies. The companies invest in projects and construction of business buildings and tourists sites. The business center Telus Tower, which is located in the center of the capital, already is consummating energy, provided by the leading energy trader, produced in an environmentally friendly way. 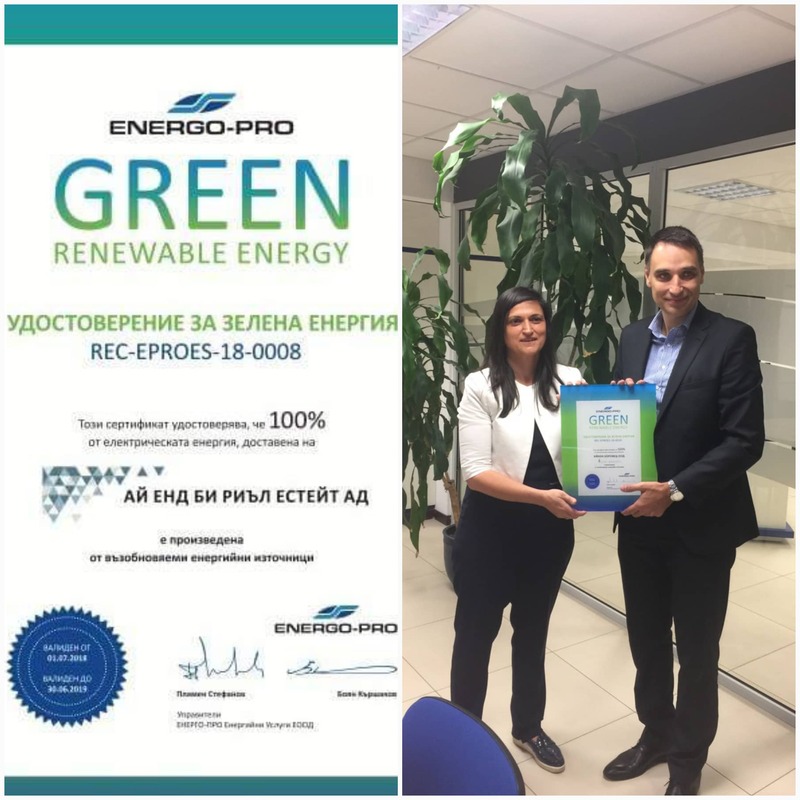 Mr. Boyan Karshakov, Manager of ENERGO-PRO Energy Services awarded special certificate for 100% green energy to Mr. Evripidis Amiridis, Facility manager of the Business building and to Mrs. Kleoniki Georgiadou, Member of the BoD of I&B Real Estate S.A. Subscribe to our newsletter to receive updates on the latest TELUS Tower news. I&B Real Estate SA. © 2018 All Rights Reserved.